African migration is generally portrayed as the result of poverty and armed conflict. However, migration is a much more complex phenomenon. 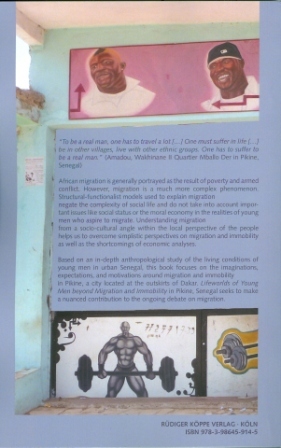 Structural-functionalist models used to explain migration negate the complexity of social life and do not take into account important issues like social status or the moral economy in the realities of young men who aspire to migrate. Understanding migration from a socio-cultural angle within the local perspective of the people helps us to overcome simplistic perspectives on migration and immobility as well as the shortcomings of economic analyses. 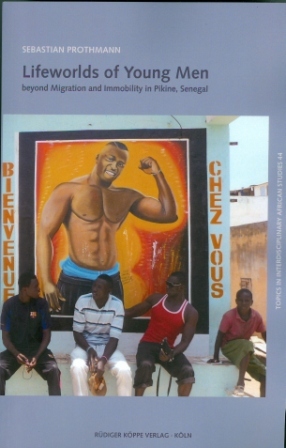 Based on an in-depth anthropological study of the living conditions of young men in urban Senegal, this book focuses on the imaginations, expectations, and motivations around migration and immobility in Pikine, a city located at the outskirts of Dakar. Its focus lies neither exclusively on migration as the only life goal of young men nor on forced immobility, but instead on the interconnectedness of these two positions. Nearly all young men in Pikine today know about the risks and dangers of migration to the Global North, but they worry about the limited opportunities in Senegal. Lifeworlds of Young Men beyond Migration and Immobility in Pikine, Senegal seeks to make a nuanced contribution to the ongoing debate on migration. Sebastian Prothmann studied geography, social anthropology and sociology at the University of Göttingen and obtained his doctorate in Social and Cultural Anthropology at the Goethe University Frankfurt/Main. This book is a revised version of his dissertation.